Founded by Adriano Ramos Pinto in 1880, Casa Ramos Pinto rapidly became noted, at the time, for its innovative and enterprising strategy. Associated with quality bottled wines, it began operating on the Brazilian market in the early 20th century and quickly became responsible for half of the wine exported to South America, whilst it was still conquering generations of loyal customers in Portugal and Europe. 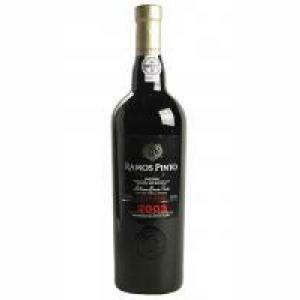 Made with high quality wines from Quinta de Ervamoira by blending of wines from harvests from different years. The new wines give it the vigour and freshness and the older wines, complexity and pedigree. The characteristic `nose and palate are a result of the art of the Master of the Tasting Room. The nose is rounded, generous, with a light, balanced, vinous touch. Wood aromas of vanilla and old Port casks. It is of the fruity, tawny type. On the palate it is smooth and full bodied. From an initial unctuousness, there appears a fresh, soft fruit, finishing with a light, acidic, woody note. The fresh fruit is still noticeable in the after taste, entangled in the aging process in wood. Good structure and a perfect balance between fruit and alcohol.